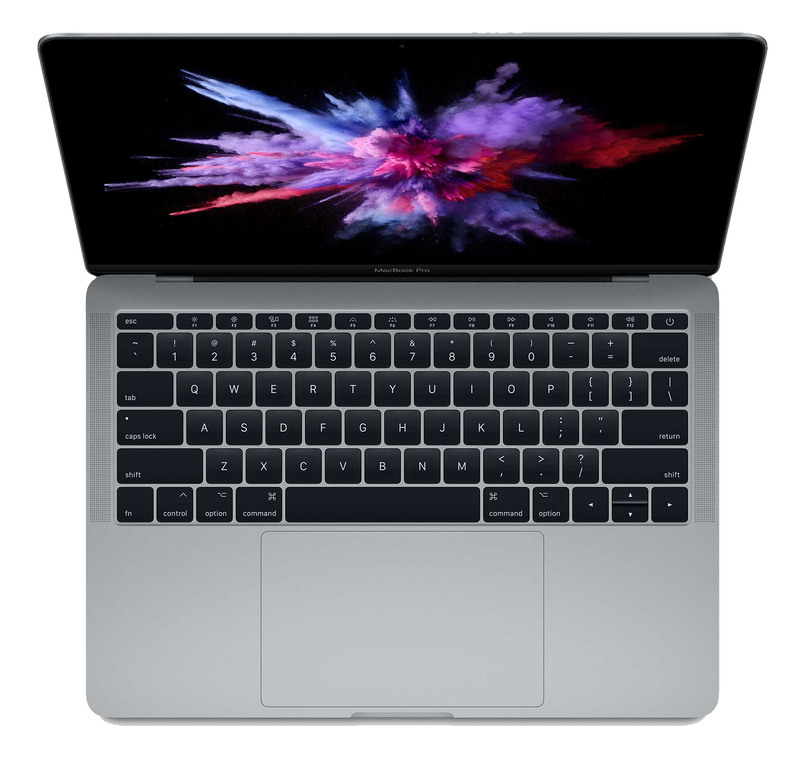 Announced at WWDC 2017, Apple's refreshed 13-inch MacBook Pro boasts faster Intel Kaby Lake processors running at 2.3GHz or 2.5GHz with the ability to Turbo Boost up to 3.6GHz and 4.0GHz respectively. The 13.3-inch LED-backlit display with IPS technology offers users 2560 x 1600 resolution at 227 pixels per inch (ppi). The screen also provides 500 nits of brightness with wide color (P3) gamut. Storage options for the 13-inch MacBook Pro include a 128GB, 256GB, 512GB, or 1TB SSD. Eight gigabytes of 2133MHz LPDDR3 memory comes standard, although the 13-inch MacBook Pro can be configured with 16GB of memory as well. Each 13-inch model without a Touch Bar features Intel Iris Plus Graphics 640 and two Thunderbolt 3 (USB-C) ports with support for charging, DisplayPort, Thunderbolt (up to 40Gbps) and USB 3.1 Gen 2 (up to 10 Gbps). Weighing in at 3.02 pounds, the systems also come with a 720p FaceTime HD camera. Prices start at $1,299, but instant and coupon discounts can be found at Apple authorized resellers.